I raced through the five Cybils finalists earlier this month giving me an opportunity to tackle the healthy stack of books in my TBR (to be read) pile. I also have an eye on the future and books yet to be released. I call it my NYP (Not Yet Published) list. I have several sources to gather titles for my 2016 reading. Amazon’s Upcoming Hot New Releases. THE LAST BOY AT ST. EDITH’S by Lee Gjertsen Malone (February 23, 2016) Seventh grader Jeremy Miner has a girl problem. Or, more accurately, a girls problem. Four hundred and seventy-five of them. That’s how many girls attend his school, St. Edith’s Academy. THE REMARKABLE JOURNEY OF CHARLIE PRICE by Jennifer Maschari (February 23, 2016) Ever since twelve-year-old Charlie Price’s mom died, he feels like his world has been split into two parts. Before included stargazing and Mathletes and Saturday scavenger hunts with his family. After means a dad who’s completely checked out, comically bad dinners, and grief group that’s anything but helpful. It seems like losing Mom meant losing everything else he loved, too. COUNTING THYME by Melanie Conklin (April 12, 2016) When eleven-year-old Thyme Owens’ little brother, Val, is accepted into a new cancer drug trial, it’s just the second chance that he needs. But it also means the Owens family has to move to New York, thousands of miles away from Thyme’s best friend and everything she knows and loves. The island of Manhattan doesn’t exactly inspire new beginnings, but Thyme tries to embrace the change for what it is: temporary. MAYDAY by Karen Harrington (May 24, 2016) Wayne Kovok lives in a world of After. After his uncle in the army was killed overseas. After Wayne and his mother survived a plane crash while coming back from the funeral. After he lost his voice. Filled with Karen Harrington’s signature heart and humor, Mayday tackles an unforgettable journey of family and friendship. MS BIXBY’S LAST DAY by John David Anderson (June 21, 2016) Everyone knows there are different kinds of teachers. The boring ones, the mean ones, the ones who try too hard, the ones who stopped trying long ago. The ones you’ll never remember, and the ones you want to forget. Ms. Bixby is none of these. She’s the sort of teacher who makes you feel like school is somehow worthwhile. Who recognizes something in you that sometimes you don’t even see in yourself. Who you never want to disappoint. What Ms. Bixby is, is one of a kind. 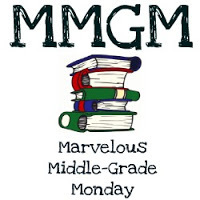 This entry was posted in New Release, Resources, Uncategorized and tagged Counting Thyme, Mayday, Ms. Bixby's Last Day, The Last Boy at St. Edith's, The Remarkable Journey of Charlie Price. Bookmark the permalink. Wow. What a great list. I want to read all of these! Actually, I have already read Mayday. I loved Karen Harrington’s earlier books and when she offered me an ARC, I jumped at the chance. I read it as soon as it came and I liked it even more than her earlier books, and that is saying a lot. I will put all the others on my TBR list. Thanks for the post. You’ve got a head start on me. Maybe I can catch up by the end of the year! I have several of these on my radar, too. They all look great and I’m excited to be temporarily in charge of choosing and ordering books for my library. Thanks for the suggestions. So many great ones coming up! Lucky you! You won’t have to worry about choices. There are some great ones in every genre. Wow, you just made my day by including my book, MAYDAY, on your list. Darn, I wish I still had more ARCs so I could send you one! I’m looking forward to these other books, too. Also, I can’t wait to read SAVING WONDER by Mary Knight. Thanks for stopping by Karen. I’ll hopefully post a future review of MAYDAY and will also check out your suggestion, SAVING WONDER. Love your book title and the story sounds great. Thanks for stopping by and for the PAX recommendation. Sounds like some really great releases coming. Thanks for stopping by. I can’t wait to read the story. Thank you so much for sharing about CHARLIE! There are a lot of books I’m excited for (going to be a great year for middle grade). I’m can’t wait for FAR FROM FAIR by Elana K Arnold and THE BRIGHTEST STARS OF SUMMER by Leila Howland. Right now I am reading THE DISTANCE TO HOME by Jenn Bishop (out in June). I left your name off the title but now that’s fixed. Your choices are great and I’m sure those also will be a part of my MG reading this year. Best of luck.